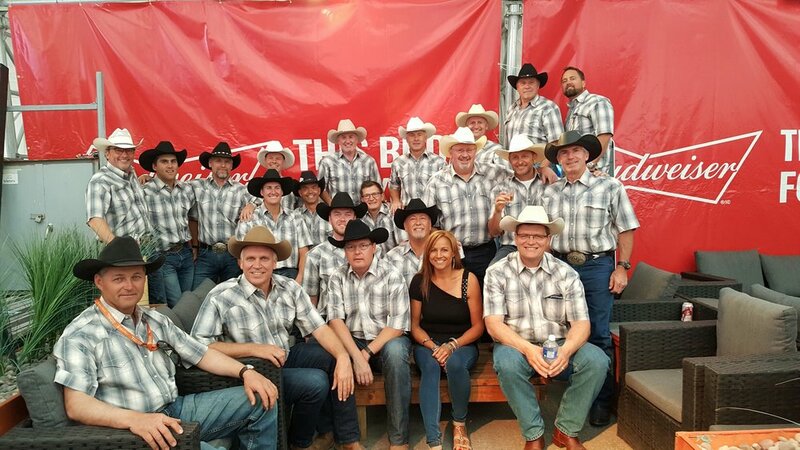 The Mavericks Chuckwagon Racing Team is a group of 25 businessmen from the Calgary area dedicated to raising significant funds to actively support Calgary and area children-focused not-for-profit agencies and individual needs. All Mavericks participate and volunteer their time to assist this worthy cause. The organization is formally registered as an Alberta not-for-profit Society (The Mavericks Chuckwagon Society). The Mavericks have been raising funds for children’s charities since 2001. The Mavericks’ fundraising activities have grown considerably over the last decade. In 2011, the Maverick’s major fundraising event was the Country Hills Golf Club Charity Golf Classic at which over $225,000 was raised for Calgary area charities. Other fundraising efforts include the “Mini Chuckwagon Race” between the periods of the Calgary Hitmen’s Western Night. To date, the Mavericks have raised over $2 million towards Children’s Charities in the Calgary area. Take your team to the chucks! Download our brochure for more information.